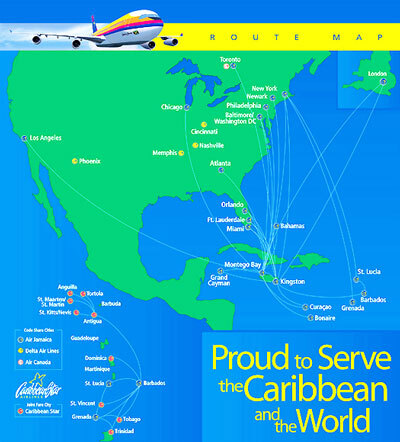 Founded in the year 1968 with company headquarters located at Tunapuna-Piarco, Trinidad and Tobago, Air Jamaica is Jamaica national airline operating scheduled passenger flight services to North America as well as the Caribbean. 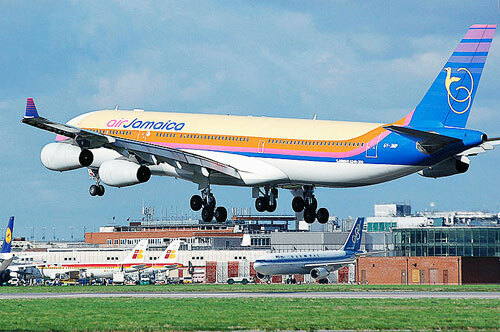 With a fleet size of 7 aircraft, Jamaica Air serves flights to 7 cities from its main hub at Norman Manley International Airport. 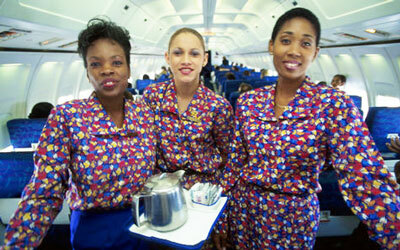 Air Jamaica's frequent flyer program is known as 7th Heaven and it's airport lounge is known as Lovebird Executive Lounge. You may wish to check Air Jamaica flight schedule, baggage allowance, reviews or contact information from Air Jamaica website or to make a flight booking.